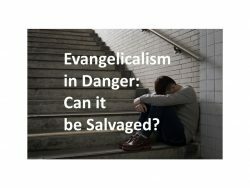 Many of them see no crisis, judging from 5 of the 12 articles in Mark Labbertons’s recent valuable book Still Evangelical? (pub’d Jan 2018). If you are concerned about these issues – if you only read three or four articles, it’s worth it! I graded the 12 articles two ways, on a Pass-Fail system. 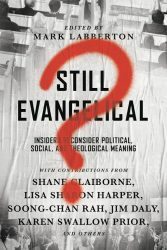 FIRST: Did they answer the question of the book’s title – Do you still call yourself an evangelical? All of them are “Passed” on whether they answered the question; all did and all of them answered more-or-less “Yes”. SECOND: Did they deal with the massive crisis in evangelicalism put on public display by the Presidential election of 2016? – the issue Labberton brings up in the book’s very first sentence. Only 7 of the 12 authors earned a “Pass” grade on this second question – which to me means that, though educated, intelligent, thoughtful, and influential, the other 5 seem to have their heads in the sand, intentionally or otherwise, on this utterly crucial, life-and-death question – What is your reaction to the cataclysmic split in American evangelicalism, brought to light by the election of Donald Trump? Evangelicalism in America has cracked; split on the shoals of the 2016 presidential election and its aftermath, leaving many wondering whether they want to be in or out of the evangelical tribe. For a movement with a high public profile and much influence in American religion, culture, and politics — perhaps providing determinative support for the election of Donald Trump — it matters when that influence iteslf is breaking up the evangelical camp. See the 2 issues? 2) “cracked; split”, and 1) “many wondering whether they want to be in or out”. Also, it matters when so many evangelicals don’t want to face the reality of what they are doing – doing to themselves and to all the rest of us. Labberton did a commendable work in bringing these thinkers together in print. They are professors, seminary presidents, publishers, etc. The articles show intelligence, education, subtlety of thought, but you can’t just ignore the great disaster occurring among us and expect us to give you much of our time. Time is life – are you worth that? I must say that these 7 who face the “split” as Labberton calls it – they face it directly and very well. Of course you never agree with anyone about every last thing, but there is much honest, passionate, compassionate, very attentive and well informed thinking in those 7 “Pass” articles. I highly recommend any or all of them. The figure “81%” appears in several of the articles – 81% of white evangelicals voted for Trump. It is very important that “white” is part of that line, as becomes obvious when we read the articles here from non-white evangelical sources. The emotional intensity is very high among those actually feeling and seeing the threat within the scope of their own lives and ministry. That is very serious stuff! And it’s true. Does not your Bible speak to such issues pretty potently? Mine does. Here are the article titles, with comments on the ones that passed my screening. Mark Labberton, President of Fuller Seminary, and editor of this volume. He has a deep reaction against the unholiness and Gospel-less-ness of the “Theo-Politcial Brand.” He calls for profound self-criticism, and actually expects a large-scale exodus from white evangelicalism. He ends with the phrase “yet evangelical?” – meaning, if we are in fact not yet evangelical, can we become so? Ch 1: Will Evangelicalism Surrender? Lisa Sharon Harper, www.freedomroad.us, author of The Very Good Gospel. Very serious and straightforward. Gives honest brief overviews of the history of the marriage of the Republican party and American evangelicalism. What should we do? Mark Young, President of Denver Seminary. Penetrating, intelligent. Emphasizes evangelicalism’s devotion to controlling things. Concern about what the church is and should be. Robert Chao Romero, UCLA, and pastor. Another potent one. Millenials are leaving the church. Immigrants are a gift of grace to us. Soong-Chan Rah, North Park Seminary. Concern for a very Westernized “Christian Worldview” in evangelicalism. Lament. The hostile environment evangelicalism makes or permits for minorities. Sandra Maria Van Opstal, Pastor, Chicago. Blunt. Good on personal experiences. What would healthy evangelicalism be like? Shane Claiborne, Simple Way, Red Letter Christians. Standard Claiborne – informed, visionary, caring. Listening only to deconstruct concerns of non-evangelicals or of questioning evangelicals is not adequate listening – especially in such extensive and crucial matters. I commend Jim Daly of Focus on the Family for emphasizing “listening.” Sadly, I am not persuaded that he makes the necessary depth of effort. The failures to face the question (to hear about the “split” – to even acknowledge that the concern was raised!) illustrate a key causative problem in this bigger problem of “cracked” evangelicalism! We (American evangelicals) don’t listen beyond our own circles, even if we occasionally say we should. We are not doing it. Therefore we proceed in ignorance and arrogance and dangerousness. And we wonder why people are 1) leaving, or 2) not in the least interested! 2. The Church, the Bride of Christ, does not equal American evangelicalism. No. American evangelicalism is the problem we’re dealing with here. Don’t shift the focus like that just to avoid dealing with our own pain and nuttiness. American politicized evangelicalism is a culturally specific movement, quite distinct from Christ and the Gospel, and cannot be arbitrarily merged into other issues. No. The Bride of Christ is God’s real thing. We cannot just slap the label on any group we like, or happen to be part of. Also, how can it be “broken”? Is the Spirit broken? Is Heaven broken? Individuals within the church surely are, but that’s not the same. A human group can be exhorted or rebuked, honored, broken, or reunited. But there is no Bible indication that the Bride of Christ is to be identified with any human movement, association, or institution. It is a spiritual reality, and, finally, the One Real Thing in the realm of social human life – “the greatest thing in the world” as P T Forsyth says somewhere. But it is not susceptible to our seeing it, to our determining who is part of it, or to our deciding whether they are properly related to one another. Maybe evangelicals, as against disillusioned or ex- or non-evangelicals, do not in fact share basic doctines and moral priorities. The authors want to assume they are evangelicals because they share the same theological, and some similar practical, roots with historic evangelicalism. I am forced to question that, since this background(s) is yielding today such diverse and incompatible fruits. Maybe the sharing is only in history long gone, or in theory that one or both “sides” are not really devoted to. That seems to me an inevitable conclusion. Jesus said very clearly to judge their teaching (their prophetic work) BY ITS RESULTS, by their fruits. That’s not pretty. It makes me wonder whether some people claiming the Americanized label “Evangelical” are even participants in the same religion, or the same faith, as I. Good Faith vs Bad Faith – Which Is Strong in You? Advent – Christ Has Come. So What Do We Have to DO? What If Christians Are Persecuted Here? New Year! 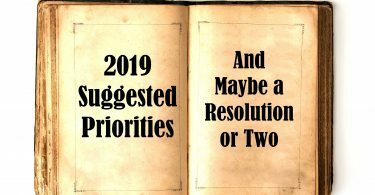 Suggested Priorities, Maybe a Resolution or Two.